Have a Little Hope is a motivational and inspirational guide to help realign you with your hopes and your dreams. This little audiobook from the Inspirational Books Series will put you back in touch with whatever it is that you hope and dream for in your life today. Because not only will this volume from the Inspirational Books Series, by R.L. Adams help you get past that rut you've been experiencing in your own life lately, it will help you understand just what it is that's important to you. A hope is the expectation of good things to come. However, those hopes are defined by our beliefs, those same beliefs that have been ingrained in you over the years. But understanding how those beliefs are shaping your hopes and dreams can be all too difficult when we go about our lives living on autopilot. This audiobook will help you to understand how your own beliefs are either helping or hurting any hopes that you might hold in your heart. We all have hopes and we all have dreams that we strive for, but sometimes we all need a small beacon and guiding light to help us get through the rough patches in life. 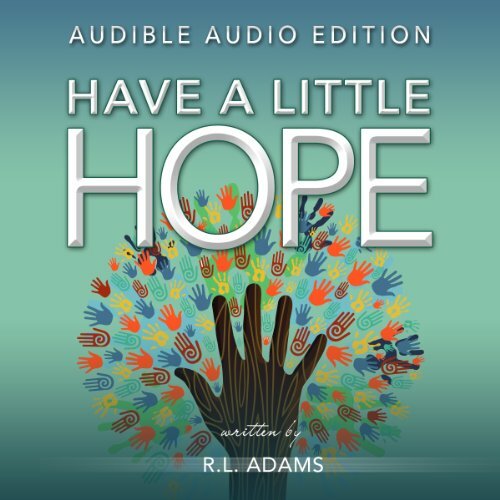 This brief audiobook on hope is just that, and it will help to reinspire and reinvigorate you, pushing you towards your own hopes and dreams, whatever those may be in your life. Uncover the secret to unlocking more hope in your life today in this newest volume of the self help books and inspirational books from R.L. Adams. I needed something motivational. This book defiantly did that for me. This book reinforced positive thinking. If you need motivation this book will totally help. Most of this book seems like common sense, however hearing it, utilizing it and putting it into practice daily as a constant reminder is something anyone can use. Very motivating and helpful.